If you want to “connect” with another person, tell more stories. Harvard professor Amy Cuddy thought she had made a mistake. In 2012 Cuddy, stepped on a TED stage to deliver a presentation on how body posture influences behavior. In addition to the data, she shared a deeply personal story of how she fought her own battle with “imposter syndrome” early in her career. Sharing a personal story changed Cuddy’s life, and it could change yours, too. “What sets TED talks apart is that the big ideas are wrapped in personal stories,” Charlie Rose once said on the CBS news program 60 Minutes. Rose nailed it. 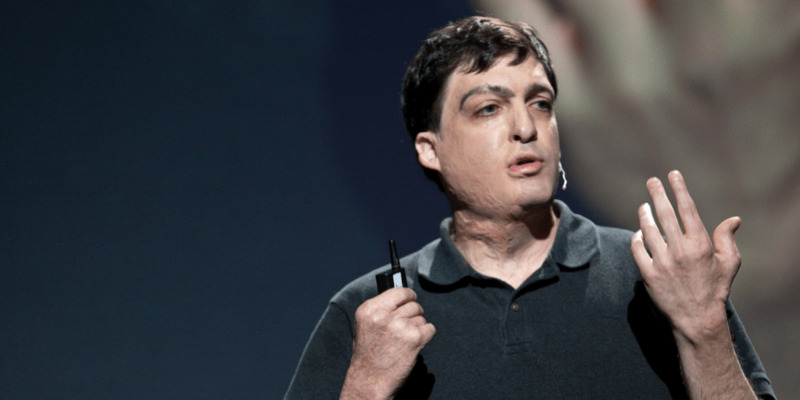 Duke professor Dan Ariely’s TED talks have been viewed 12 million times. Ariely often shares the tragic story of when he was involved in an accident as a teenager — an accident that left him burned over 70% of his body. The nurses assumed they knew better than the patient. They didn’t. The experience led Ariely to study behavioral economics and to write the bestselling book “Predictably Irrational.” Today, Ariely’s compelling personal story has made him a sought-after advisor to governments and organizations around the world. Facebook COO Sheryl Sandberg is learning about the power of personal story. Sandberg’s TEDx talk on “Why We Have Too Few Women Leaders” has been viewed more than 6 million times and launched the Lean In movement. Personal stories make up 72% of Sandberg’s now-famous presentation. Remarkably, Sandberg wasn’t going to tell a story at all. While preparing for the presentation on women in the workplace, Sandberg did what came naturally. The former management consultant amassed mountains of statistics on things like how many heads of state are women and how many women make up the C-suite in corporate America. Pat suggested to Sandberg that she should share the story with the mostly female audience. “Are you kidding?” she responded. “I’m going to get on a stage and admit my daughter was clinging to my leg?” Sandberg eventually took her friend’s advice and opened the presentation with a deeply personal story revealing the challenges she faced as a working mother. Stories alter brain chemistry that in turn triggers empathy in your audience. When the brain hears a compelling personal story, it triggers a rush of chemicals including dopamine, cortisol and oxytocin, the ‘love molecule’ that makes us feel empathy for another person. the two people are having a brain sync. No other tool of persuasion has the same effect as a personal story. If you want to “connect” with another person, tell more stories. It’s a commandment worth following in every pitch and presentation. You can read the original article in Business Insider here. Carmine Gallo is a keynote speaker and bestselling author of the book “The Storyteller’s Secret: From TED Speakers To Business Legends, Why Some Ideas Catch On And Others Don’t” (St. Martin’s Press).